Sell Your Home with Stan Groves Let our experienced Listing Specialist help you make it happen. Set the right price. Pricing correctly from Day 1 will ensure your home gets sold, faster. Marketing campaigns. Traditional media, such as post cards, signage, and web and social media campaigns, we’ve got a proven plan that will match your home with the right buyers for the right price. Reviewing preliminary title reports. This will ensure you can legally sell your home without any encumbrances. Coordinating inspections. Appraisal appointments, septic certifications, negotiating inspection and appraisal outcomes. Communication. Maintaining complete communication between the lender, escrow, and agents. Recommend other professionals. Our Listing Specialist will also be able to refer you to real estate attorneys, home warranty providers and more. This can help expedite each step of the process and move you to a successful sale all the faster. Stan Groves is an expert in the North Idaho Real Estate market. 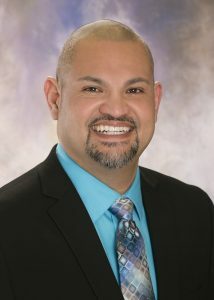 He is prepared to help you sell your home to the right buyer for the best price. As a team, we are committed to professional and personal service to help you feel at ease throughout the home selling process. If you are wondering what your home could sell for in today’s market, contact us to get a free market analysis.